There is no joke or trick here, all you get is absolutely FREE LOAD by just performing very simple steps. 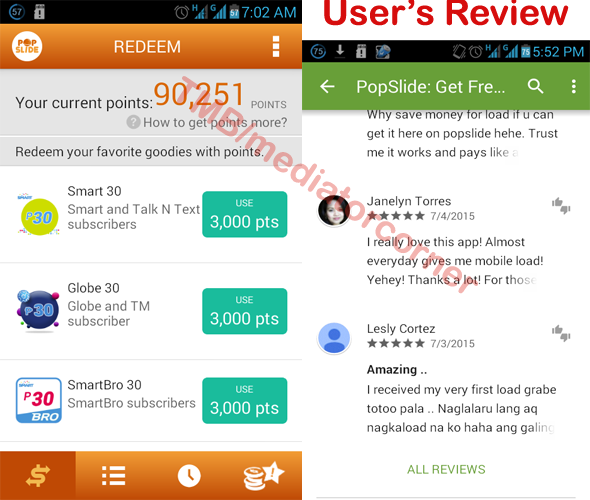 It was introduce by my facebook friend , at first I thought it was just a scam but recently I got my FREE SMART LOAD from this awesome POPSLIDE application. 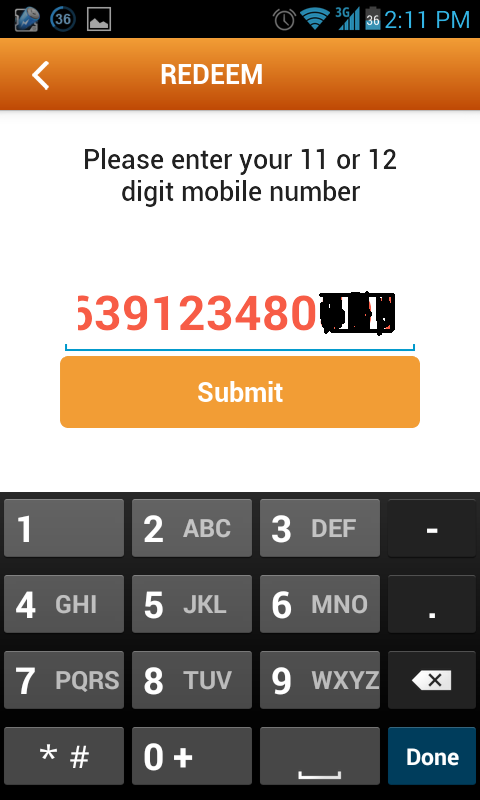 Enter my promo code to the promo code box mp7wzm to get 500 updated 300 points. 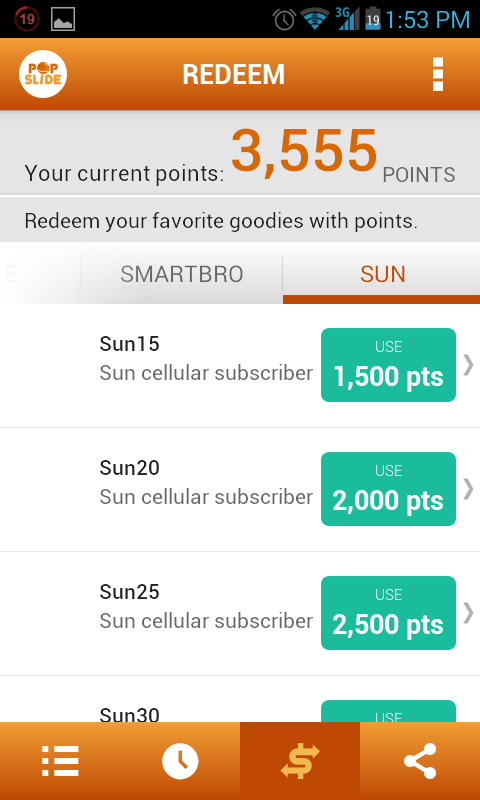 The more points you earn, the more FREE LOADS you get. 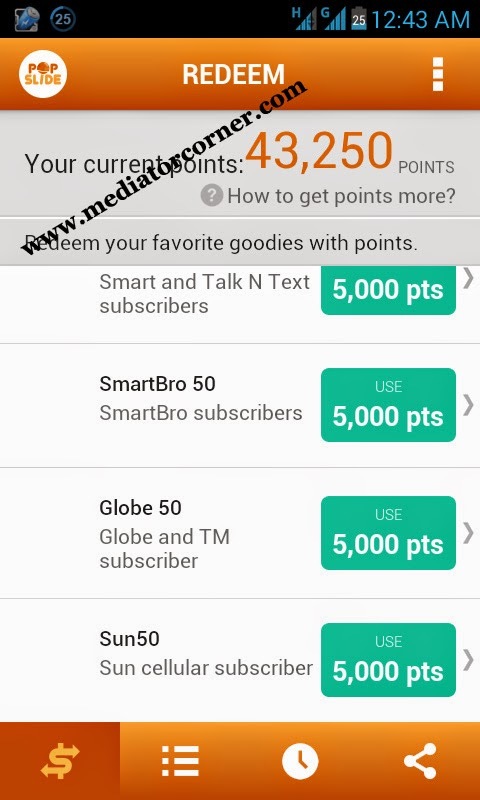 Your points can be converted into either SMART, GLOBE, SUN or SMARTBRO load. 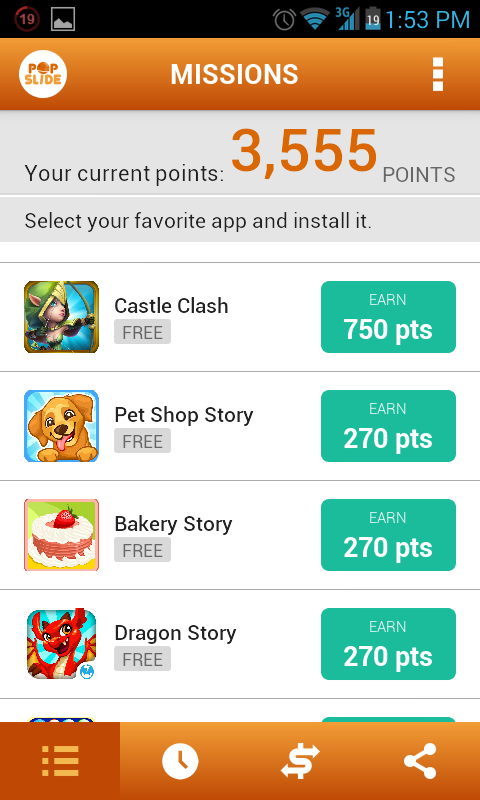 It is even easier for you to earn more points thru referrals because you can earn additional 1000 updated 3000 points if you refer someone to install the app(UPDATE:You will receive your points after they earned 3,000 points. ) 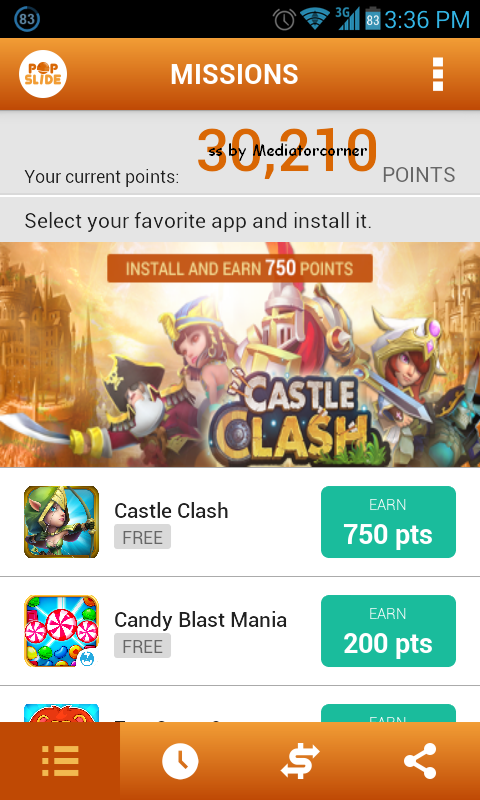 to their android phones as well as they can get 100 updated 300 points.In this case, it is a win-win situation because earning 3,000 points of your referrals will entitle them to P30 Pesos Load for FREE and at the same time, you earn 3000 points. You guys must try installing this app right now to find out how awesome it is! Good Luck and Enjoy your FREE LOAD! RECOMMENDED: How to easily Earn Money Online Starting Today STAYING FROM HOME.. 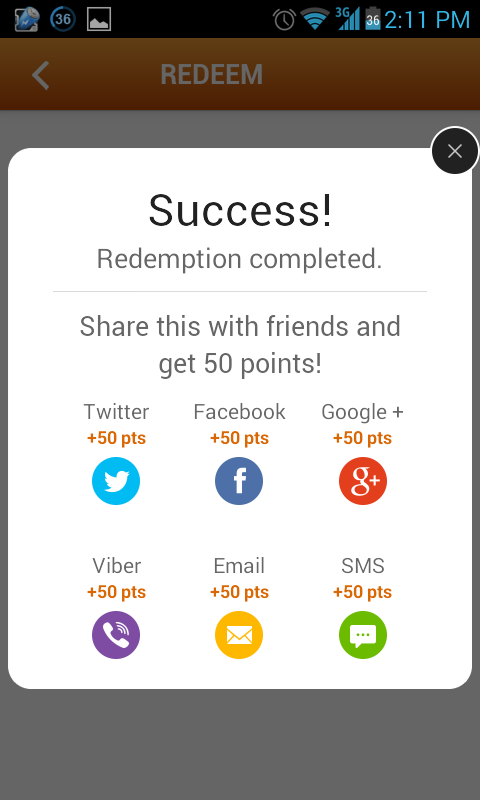 Here is the latest screenshot for my points left in my PopSlide app, after I redeemed 150 Pesos load in total. I never buy load after I installed this app in my phone, I personally give thanks to Popslide. 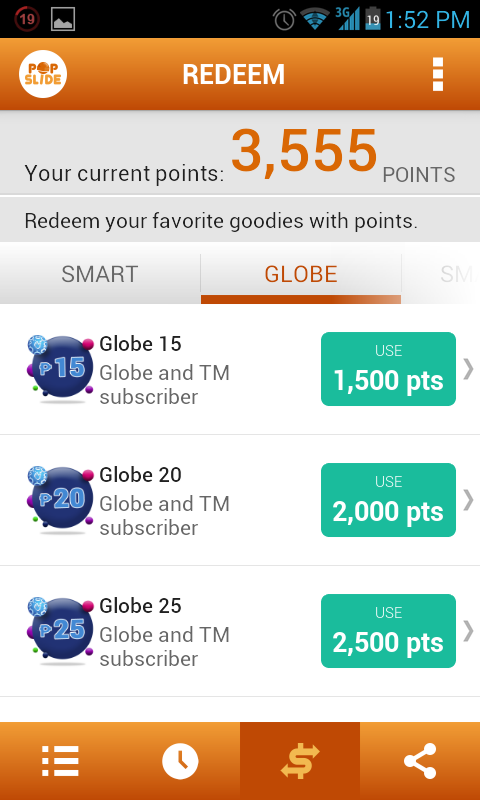 I got more than P1,000.00 FREE Load from popslide already and still have 40K plus points left. hi, thanks for your advice. I am actually making some changes to this site right now..